Goku and Cheese! available for adoption! Goku and Cheese, male feline siblings, are available for adoption! 2 for 1 adoption fee! let’s keep these fellas together! click here to view fun Goku and Cheese video! click here for adoption application! 5 cats + 1 dog = Lebanon Daily News Pets of the Week! Have you heard the news?! Feline friends Gingerbread, Tabitha, Smokey, Spot and Aggie PLUS canine friend Sugar are the Lebanon Daily News Pets of the Week! 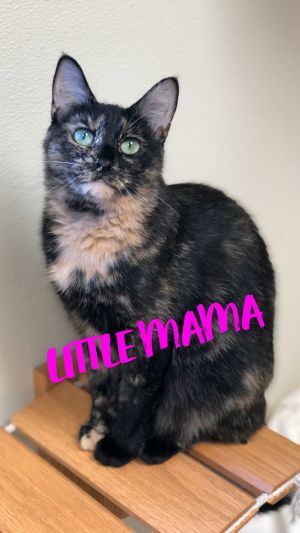 click here to see Lebanon Daily News Pets of the Week! thanks to Jeremy Long of the Lebanon Daily News for creating this fun video! Lebanon Daily News Pet of the Week! click here to see FUSS in action! Fuss is an 11 month old neutered male American Pit Bull Terrier! His brindle with white coloring makes him a very handsome boy! Fuss loves to run and play fetch! A person with dog experience with lots of time and patience would be a perfect match for Fuss! A home with kiddos age 8 and older is recommended! Cookie, Smokey and Tabitha – currently residing in our Cat Colony B – are available for adoption! check out their purrfectly fun video below! click here to see Cookie, Smokey and Tabitha! stop in the shelter to place your order! Shadow, Blue and Karma! Pets of the Week! The Lebanon Daily News Pets of the Week are two feline siblings, Shadow and Blue and Karma, a pitbull terrier! Woofs, purrs, and thanks to Jeremy Long of the Lebanon Daily News for creating our weekly Pet of the Week videos! click here to see Shadow, Blue and Karma! Pets of the Week say THANK YOU! The Lebanon Daily News Pets of the Week say THANK YOU for all the recent donations! click here to view fun video featuring adoptable animals! The Humane Society of Lebanon County is a 501c(3) non-profit organization. Humane Society of Lebanon County relies on donations from the community and does not receive funds from the Humane Society of the United States. Our shelter relies solely on generous donations from our community. Home for the Holidays – 228 adoptions! our 2016 Home for the Holidays Adoption Campaign ran from November 1 through December 31, 2016! Our goal was 200 adoptions! 228 animals were adopted! we flew right by our goal of 200! Big News! Half price adoption fees! BIG news! For the remainder of December all animals 1 year and older are available for half price adoption fees! Help a shelter animal find a home for the holidays! Opt to adopt!